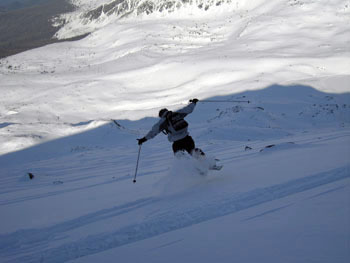 Best value skiing holidays and snowboarding holidays in the world! 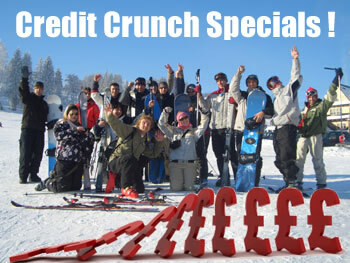 Forget the Credit Crunch - we've just UNDERCUT the recession! We're based in Poland which IS CHEAP- the Polish Zloty is one of just 3 currencies which the £pound grew STRONGER against in the last 12 months! This will be our eleventh season delivering top quality holidays in Zakopane, Poland's winter capital, and we have negotiated the very best prices with the best, most cooperative businesses in the region. For more info please browse our website. Unquestionably the best value skiing and snowboarding holidays in Europe - If you can find the ALL same elements in a cheaper package TO ANY EU COUNTRY with any other UK company we GUARANTEE to beat their quote! All inclusive 7 night packages from just £425 per person, and 2 night packages from just £196 per person! Traditional Catered Chalet ski and snowboard package in Zakopane (7 nights) from just £425pp! 3*** Skiing and Snowboarding offer in Zakopane, Poland (7 nights) from just £545pp! Belvedere**** Resort and Spa All-Inclusive Luxury Skiing and Snowboarding offer in Zakopane (7 nights) from just £845pp!